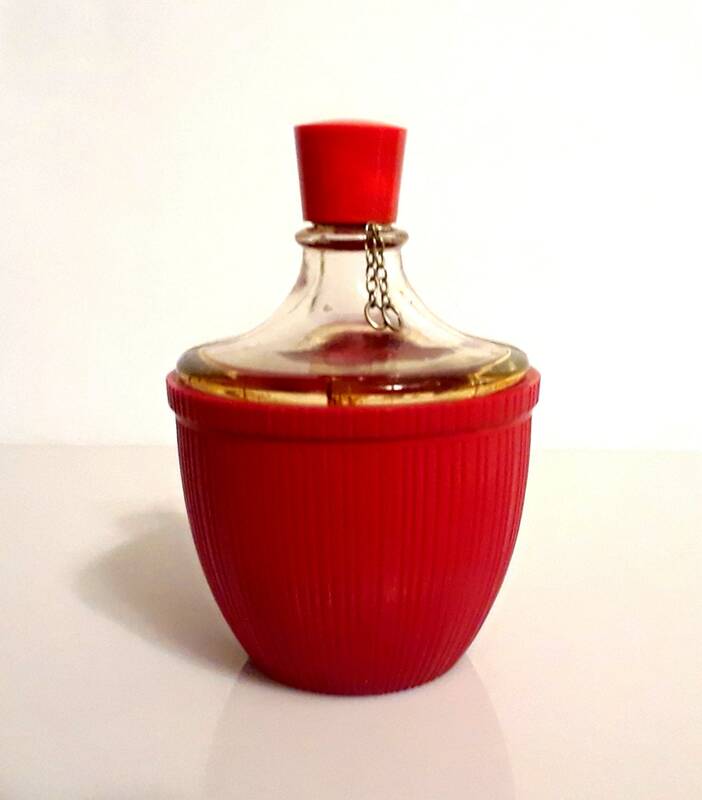 Vintage 1930s Fleurs d'Amour by Roger et Gallet 1 oz Pure Parfum Red Celluloid Demijohn Bottle Vintage Perfume. 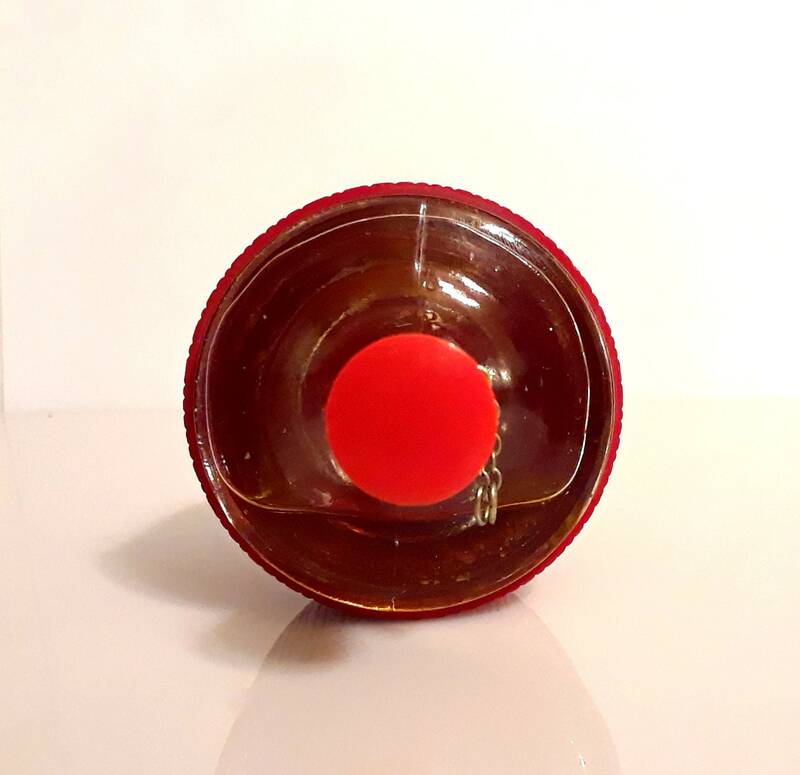 The bottle is encased in a celluloid barrel like covering that covers 2/3 of the perfume bottle. 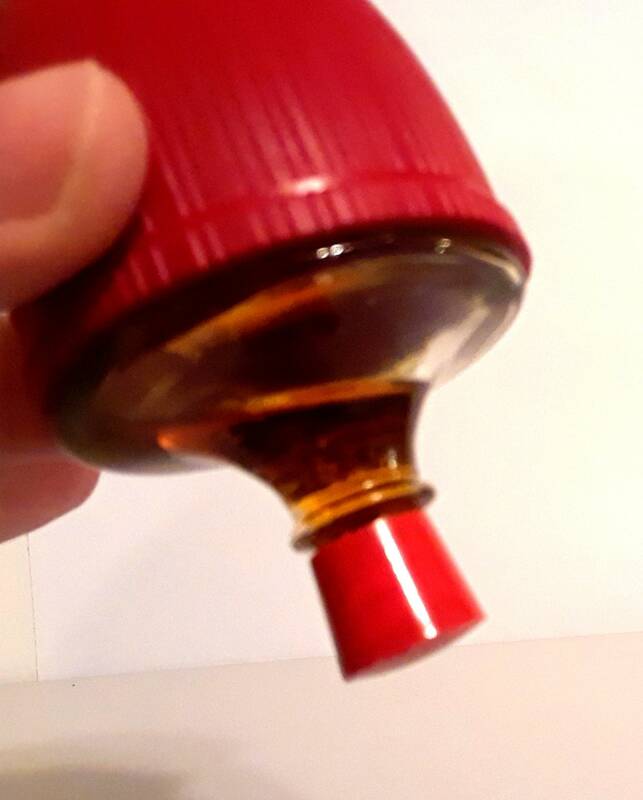 The plastic screw cap matches the plastic base. Just a very small amount of perfume left. 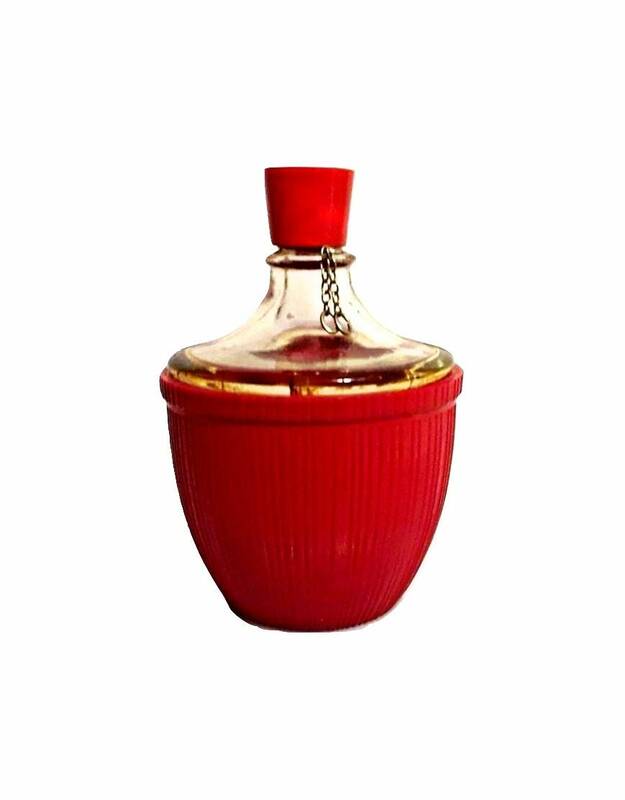 Bottle is missing its metal tag which would have hung around the neck by chains like a liquor label. Fleurs d'Amour by Roger et Gallet was launched in 1902. 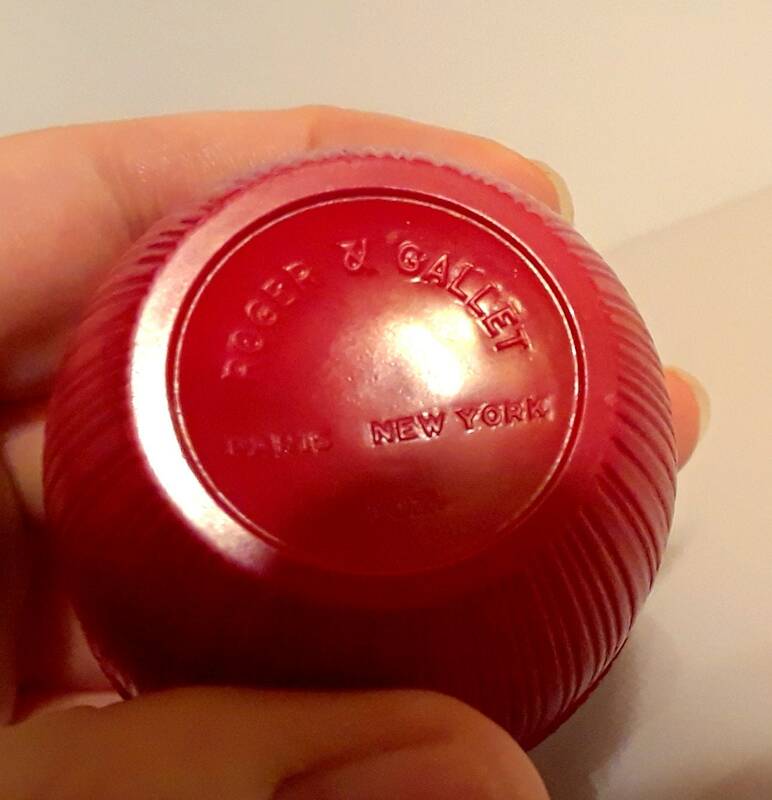 This is one of the earliest perfumes marketed by Roger and Gallet in America. It has notes of carnation, honey, jasmine, rose, sandalwood, civet, patchouli, benzoin, orange blossom and opoponax. I am sure there are other notes such as the citruses in the top notes. Fleurs d'Amour was still being sold in 1968. This is a discontinued fragrance.